When it comes to duffel bags, the Osprey Transporter series sits up there at the top of its class. The Transporter is a mid-weight (for lightweight, check out the Arc'Teryx offerings) do it all duffel which challenges the traditional and super popular North Face Basecamp duffel. It is arguably a tad more expensive (~£10 extra) than TNF equivalent but we believe that the extra money is worth it with regards to the functionality offered. 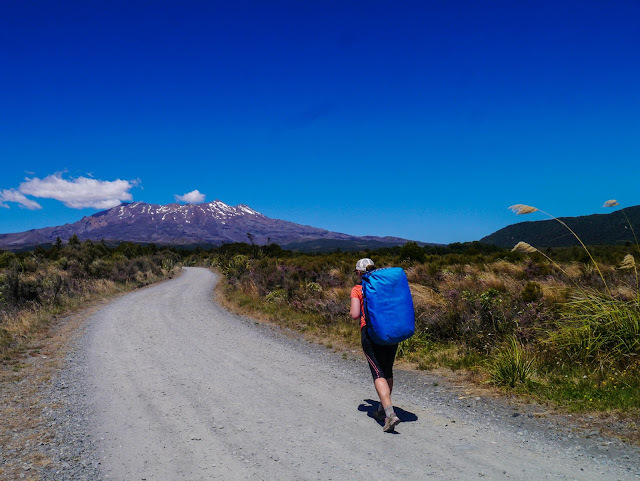 The transporter duffel is available as a traditional duffel (40L, 65L, 95L, 130L) or a wheeled equivalent (40L, 90L, 120L) which is much more practical for the traveller who will be using the duffel for travel luggage rather than for expeditions. The downside of the wheeled duffel is the additional circa 2kg of weight and £90 in cost if the 95L version is used as a benchmark. Fold away straps - Now this is an absolute winner in our books. You can use the duffel as a rucksack for getting about and when you get to the airport, there's no need to try and tie up every single strap only to be told to go to the outsized luggage because it isn't a suitcase. There's a neat little pocket on the back of the bag which the straps pack neatly into and voila - no hanging straps. Internal compression straps - very useful for really compressing things in the bag before starting the notorious zip closing tango. Sternum strap - Actually more useful when we expected. Especially when having to carry the bag longer distances. When it comes to doing its job of being a duffel bag, the Osprey Transporter does a fantastic job. It has a spacious main pocket with two additional pockets which give some degree of separation within the bag for smaller items. We did, however, note that the inside pocket can be quite tricky to reach when the bag is full. The 95L model is ideal for general travel as when full it comes close to 20kg which is roundabouts the limits for most airlines. The bag itself is made of a durable fabric which has survived numerous long-haul flights and lugging around during our test. We noted only a couple of small nicks in the fabric after 6 months of travelling which is a testament to the durability of the material. The only downside we noted with the fabric was the lack of waterproofness of the base material. The majority of the bag is water resistant if left out in the rain but it gets very wet very quickly if left in a puddle. 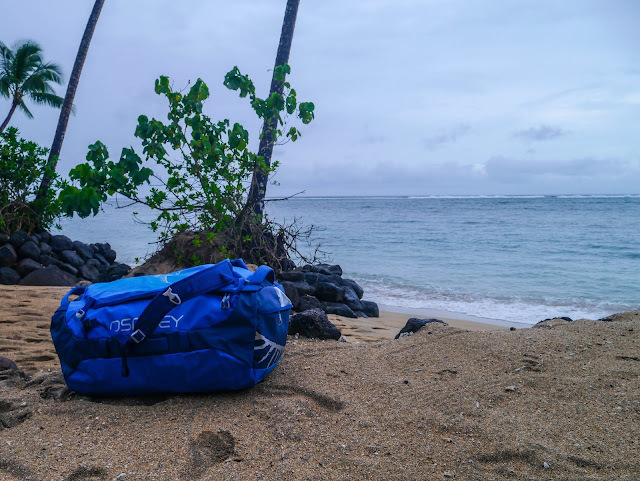 All in all, this bag is a well designed, robust duffel bag which is just as home on a Himalayan expedition as it is on the luggage belts at Heathrow Airport. 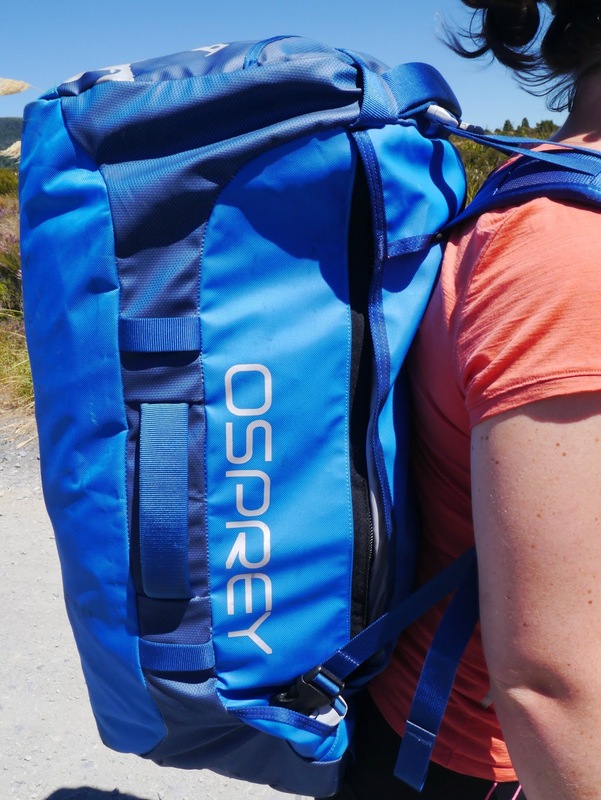 The Osprey Transporter, in our humble opinion, challenges TNF Basecamp duffel for the spot as best all-round duffel. The only additional thing we would note is that if the bag were to be mostly used for travelling, we'd recommend getting the wheeled model.